Since obtaining my FAA Part 107 certification and flying with the Phantom 4 Quadcopter, I have been pouring over flight apps like crazy. Kittyhawk, available for iOS and Android, has become my go-to app for every flight I make that provides a comprehensive flight workflow all in one location. 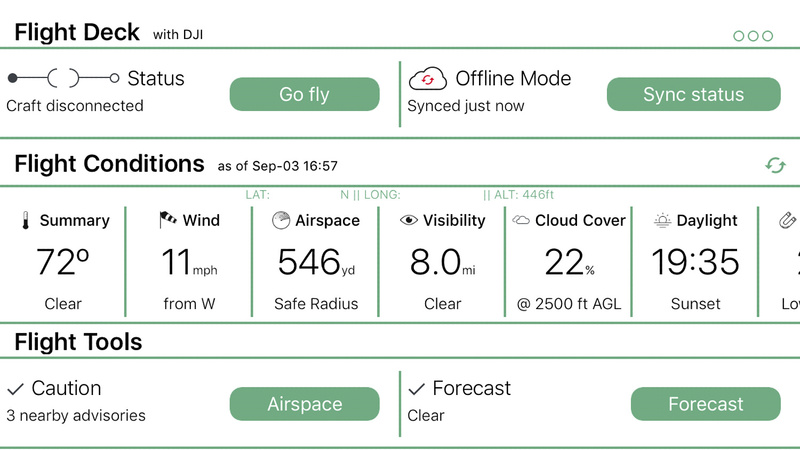 With enhanced telemetry data, airspace maps, fleet management, and weather reports, here’s my review of the app that could replace the entire drone folder on your mobile device. For starters, Kittyhawk is a free app with a multitude of features at various levels. Downloading the app and setting up an account is easy and I recommend everyone who flies a drone at least give it a try. This app is loaded with features so it's awesome that users can get a free account and start seeing if it meets their needs. For this review, I signed up for the Plus plan at $7.50 a month. The biggest differences between the Core and Plus plans revolve around more advanced weather forecasting and maps features, which most hobbyists might not need, but everyone will find helpful. Kittyhawk also has a great web browser interface and in many cases can be easiest to configure account information there. Kittyhawk utilizes what they refer to as hyper-local weather updates. 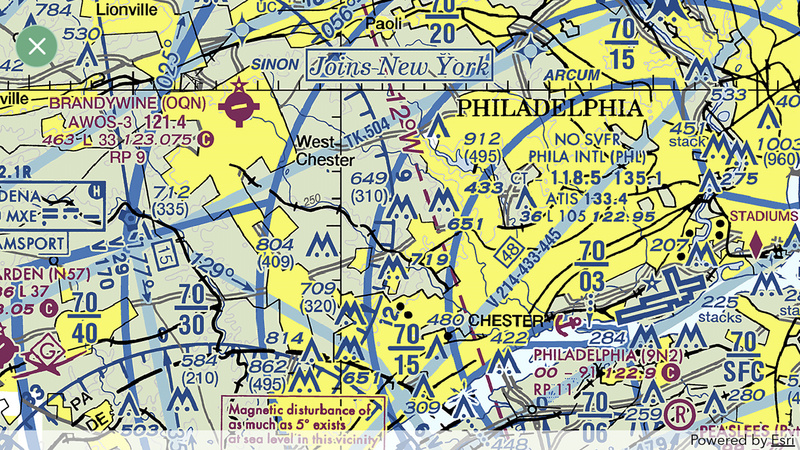 The FAA uses METARs for weather updates but that information is centered at airports which quadcopter pilots should avoid. Latitude, Longitude, altitude, weather summary including temperature, wind speed, and direction, an airspace safe radius free from warnings, visibility, cloud cover including altitude above ground level which is perfect for determining flight ceilings, sunset time, Kp index, GPS signal strength, and altitude density are displayed. Syncing to download the latest flight conditions is a breeze and discloses the time of the last update for even better accuracy. 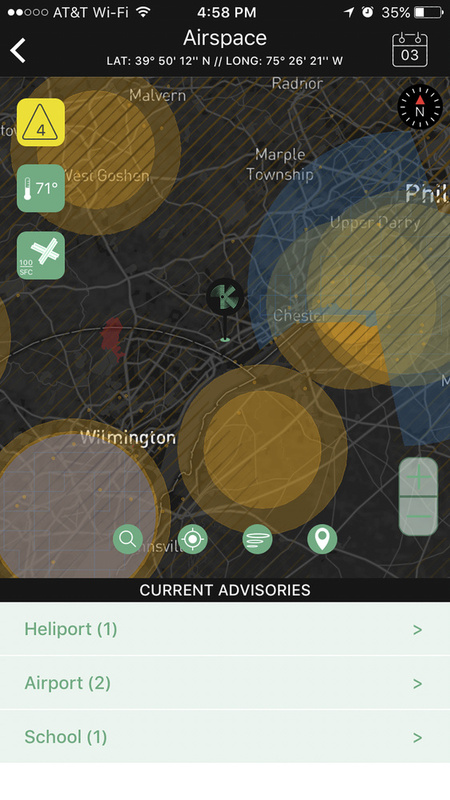 Partnering with AirMap, Kittyhawk provides users with an airspace map featuring controlled airspace. 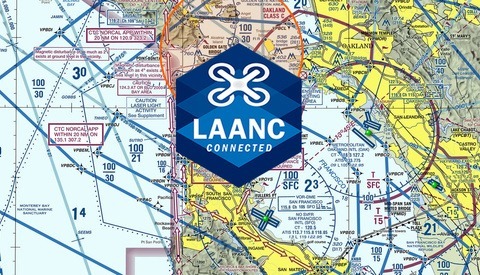 You can select which layers are displayed including TFRs (temporary flight restrictions), wildfires, national parks, emergencies, prohibited and restricted areas, airports, helipads, and airspace classifications to name a few. Users can launch an overlay of a scrolling sectional chart with built-in compass orientation which is incredibly useful. Dates can be changed up to a week in advance to see if any TFRs or other restrictions are anticipated. The forecast section is remarkable, providing weather forecasts viewable in two sections: one by time, another by height. The weather is provided for the next week, showing an hour by hour update on temperature, wind speed, visibility, and chance of precipitation. 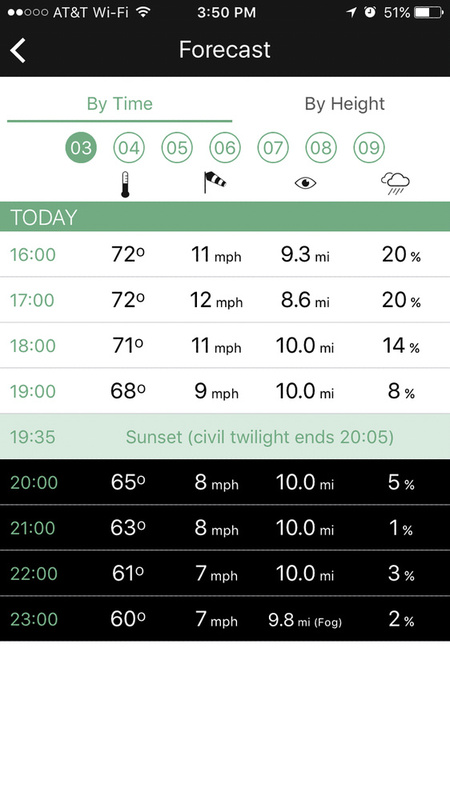 Civil sunset is also provided in the list of hour by hour weather. 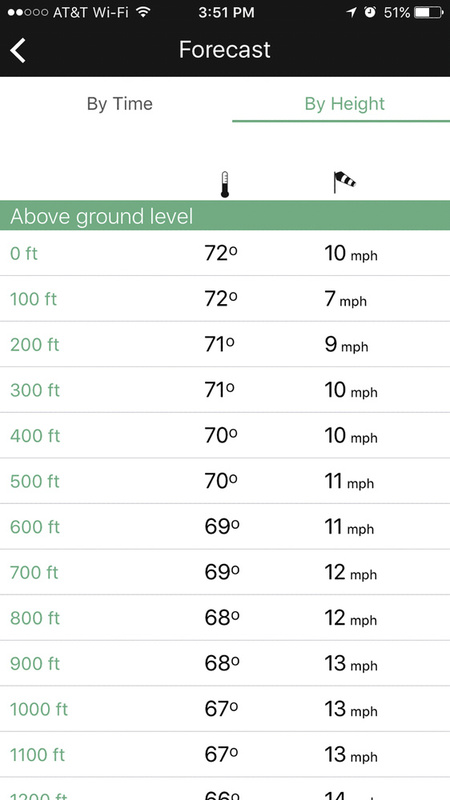 By height, altitudes above ground level (AGL) in 100 foot increments show the temperature and wind speed. This is incredibly useful as wind speeds could vary significantly at varying altitudes. Under the Activity panel, total hours and number of flights are logged. Flight telemetry can be referenced organized by date and easily syncs with the DJI Go app. It provides the flight duration, location, weather, battery consumption, and telemetry. If you have multiple quadcopters or batteries, this feature is also quite helpful. You can add specific craft by serial and registration number, view lifetime flight statistics including flight time, and the longest flight. There is a section for batteries to manage battery use and load cycle life. Locations for all flights are also shown on a map. I found it easiest to enter this information to my account through my a web browser on my Mac. Here, documents can also be added to your account for your record keeping. I uploaded my Part 107 and sUAS registration documents to my profile. Before Flight Phantom 4, a 16-step checklist. DJI Phantom 4 Quarterly Maintenance Schedule, a nine-step checklist. Inclusion of so many critical preflight considerations all in one location. Premade checklists are great time-savers, helping to prepare safely and thoroughly for each flight. It’s risky trying to be a lot of things all at once, offering such a wide array of features in one app, but Kittyhawk does it pretty well so far. Include Visual Weather Maps in the app. Automated syncing with DJI Go app. Ability to change and search for Flight Conditions location for planning at a different location. Saving locations as favorites would also be awesome. Add a maintenance history section for simple notes on tasks completed surrounding flight assets. Uploaded documents to be viewable in the app without having to log in again. 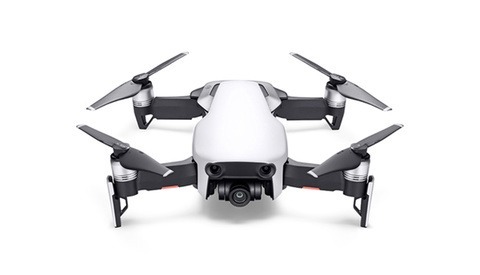 Using the DJI Phantom 4 Pro+, which has a controller and built-in display, I don't know of a way to take advantage of Flight Deck. It might be a simple solution that I haven't figured out yet, but all of the Phantom's functions run from the controller, not through a phone. Apps like Kittyhawk provide an incredible amount relevant data and guidance in pushing creative limits. 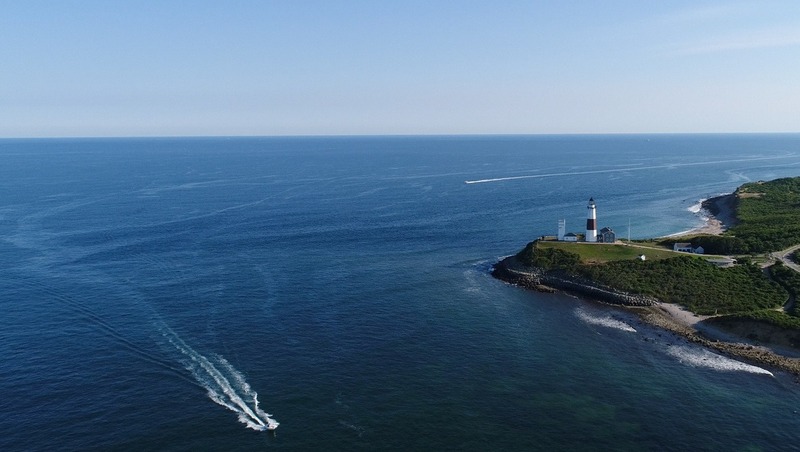 There are a lot of deeper functions that I may or may not use as time goes on, but overall Kittyhawk has become the foundation of my flight operations. 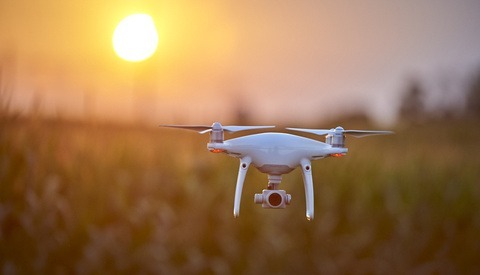 As the quadcopter world continues to evolve, the quantity of pre-flight considerations grows with it and Kittyhawk helps simplify that workflow. You can learn even more on Kittyhawk's YouTube channel including a host of tutorials. Are you using Kittyhawk or perhaps another app that helps in your flight workflow? What features or changes would you like to see included in future updates? Let us know in the comments below. Great review. Looks like a must have app. US only I suppose?